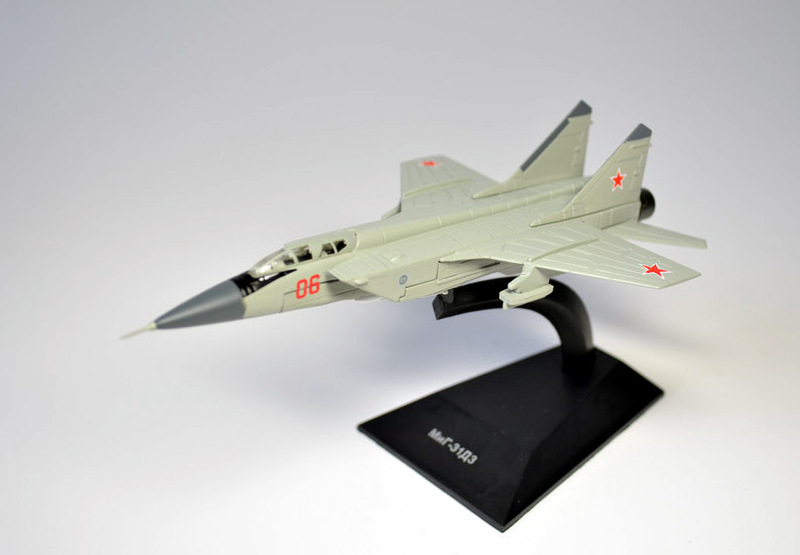 Serial production of ordinary MIG -31 started in 1979. 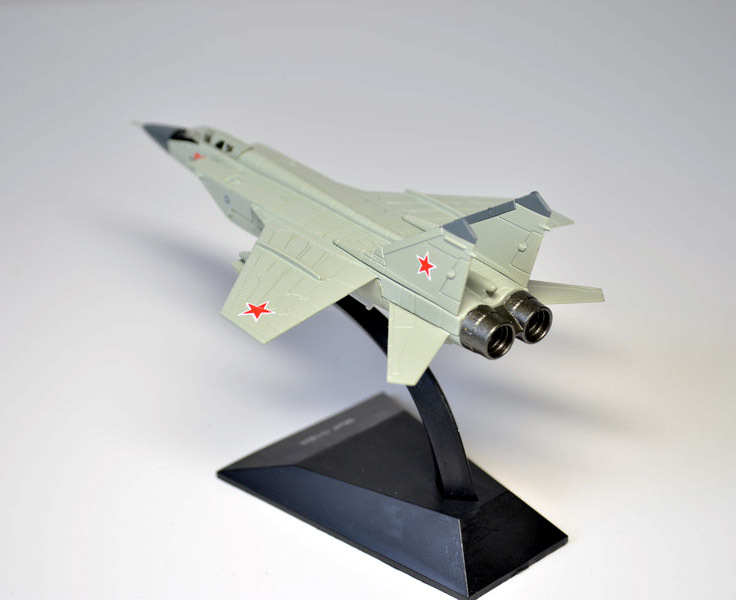 The MiG-31 entered operational service with the Soviet Air Defence Forces (PVO) in 1981 It was the only Soviet fighter capable of intercepting the Lockheed SR-71 Blackbird, and did so starting in 1986. Not only the world's first aircraft with a phased array radar, but the only aircraft capable of independently firing long-range missiles as of 2014. 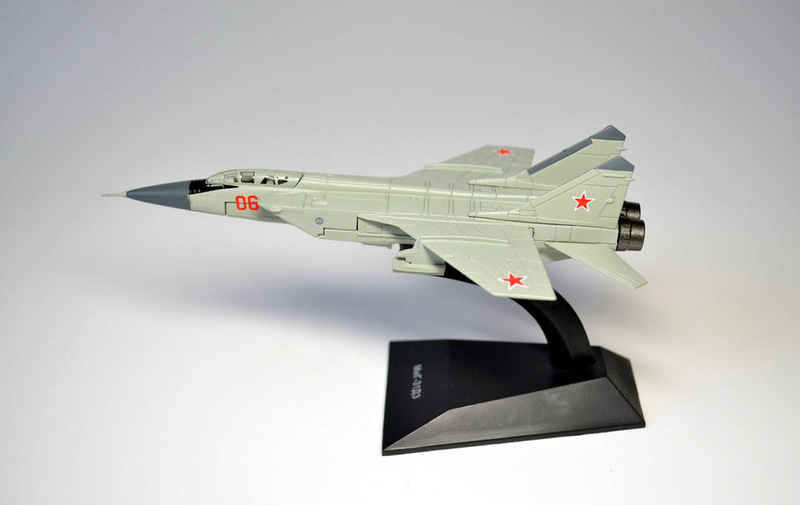 For the MiG-31BM detection range of 282 km for the purpose of 5 square meters, and 189 km for stealth objectives. With the designation Ye-266, a re-engined Ye-155 shattered world records. It reached an absolute maximum altitude of 123,524 ft, or 37,650 m, and set a time to height record of 35,000 m in 4 minutes, 11.78 seconds, both of which were set by test pilot Alexander Fedotov. Ostapenko, his deputy, set a record of 30,000 m in 3 minutes, 9.8 seconds. Following the disintegration of the USSR in 1991 the budget for spares and maintenance collapsed, leaving many squadrons unable to maintain their aircraft. The MIG-31 AOG desk was created to address this problem. Mig-31DZ - serial fighter-interceptor equipped with in-flight refueling system.